There is eerie and somewhat creepy balete tree amidst papaya plantations near Maria Aurora village. It is some 60 – 65 m tall and some 60 adult people are needed to get their arms around this incredible tree. This is Millenium Tree – one of the largest trees in the world. This giant of Maria Aurora is balete tree – a kind of banyan (Ficus balete or, possibly – Ficus benjamina0. Often there is mentioned that this is the largest banyan tree in Asia. 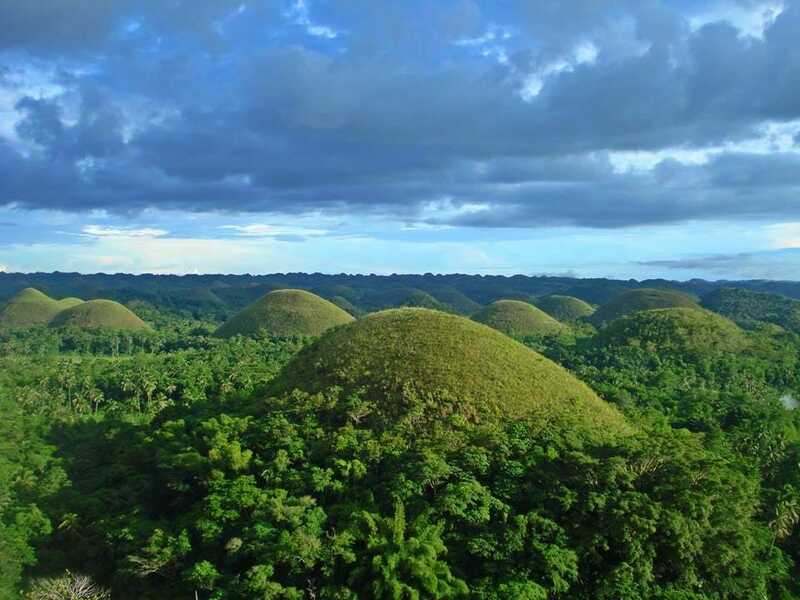 In fact, this can not be proved or disclaimed: there are many ways to measure the size of the tree, especially banyans and there certainly are many noble contenders for the title of the largest banyan tree in the world. It is very hard to find the exact circumference or diameter of old banyan trees due to aerial roots. As the tree becomes older more and more aerial roots enclose the main trunk, one after another they grow into the older trunks and finally, it is not possible to find the middle behind the dense network of these roots. Due to aerial roots the lower part of Maria Aurora balete looks weird: like a pile of countless aerial roots. Higher above this "heap" rise enormous, tall branches. People actually can pass between the stems of enormous aerial roots and go INSIDE the Aurora balete tree – most likely the original stem has been lost and there has formed a large hollow. Stems rise high above the head, twisting and joining and holding the weight of the giant tree. 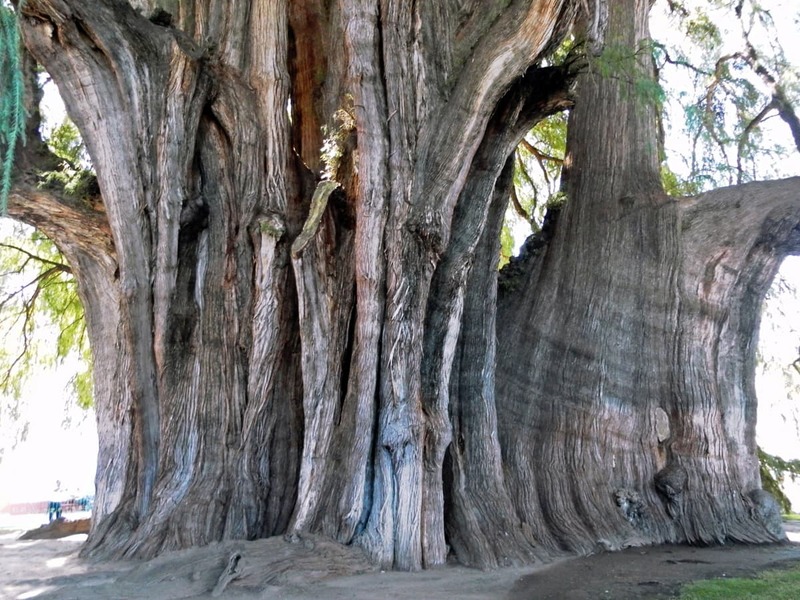 The tree has a diameter of some 12 – 15 m. This is more than any other tree in the world (Árbol del Tule in Mexico has a diameter of 11.62 m) but it can be disputed whether Millenium Tree has the stoutest trunk in the world because it consists of numerous smaller aerial roots and trunks. Balete is very tough – the 60 – 65 m tall and 60 m wide crown has survived numerous extreme typhoons. Tree is carbon dated to be between 400 – 600 years old. Among the local Ilongot people the tree has got good fame – they prayed here for good hunting. Filipino folklore is rich with ghost stories and many people believe that in Aurora Balete tree there are living gruesome supernatural beings like "kapres", "impakto" and "diwatas". Kapre is similar to a human, but two – three meters high, almost black, stinky and hairy, with enormous glowing green eyes. He likes to sit in balete tree and smoke. Impakto is a demon who takes a form of a small baby but actually is killing people. Diwatas are noble creatures – these spirits guard the forest and trees. In earlier times here was established Balete Park, with entrance fee and with people looking after the tree. 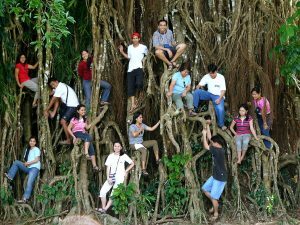 It was not allowed to climb the balete. Unfortunately, nowadays it looks much worse: the soil around the tree has been trampled and numerous tourists are climbing this wonder of nature, countless names have been engraved in the bark of the tree. The overall health of the tree is worsening. Michael Sinjin A. Pineda, Largest Balete Tree in Asia, Maria Aurora, Libotero. Story with many pictures. 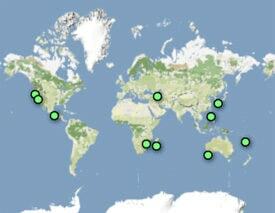 Accessed on September 16, 2010.